McKenna is on the far left with the green foil. Henry McKenna 10 year old single barrel bottled in bond bourbon is an often overlooked offering from Heaven Hill Distillery. According to their marketing copy and my own anecdotal experience, it is one of the "extra-aged" bottled in bond bourbons on the market. 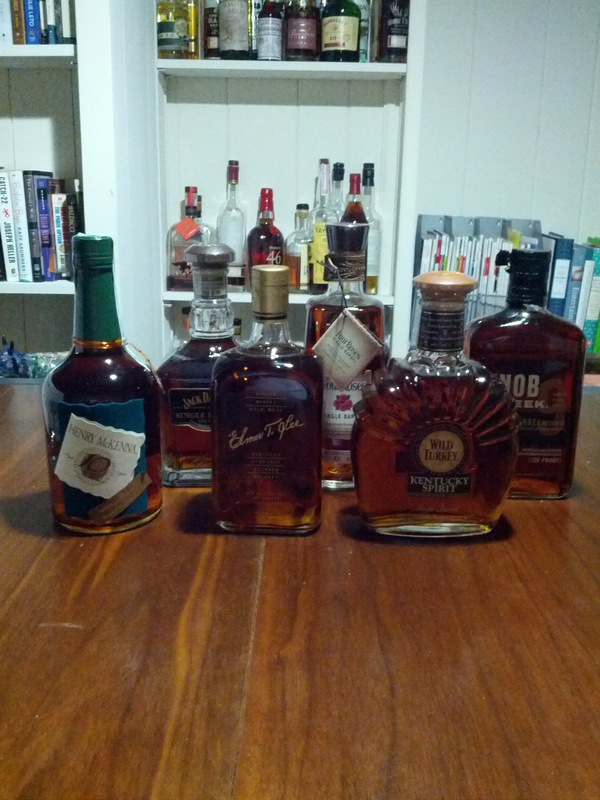 It is also a single barrel, so I included it in the committee's end of year picks to represent Heaven Hill. I nearly chose Evan Williams Single Barrel, but McKenna offering a little bit more proof and being bottled in bond tipped the scale in McKenna's favor. The end of year selections were not tasted blind. The formal tasting notes come from committee member Kyle. Nose: Some light barrel pointing to a middle age range. Light butterscotch and some syrup. Taste: Hot, it fills the mouth mouth well but is slightly thin. Finish: Strong lingering finish on tip of the tongue and on the cheeks. Obviously, Kyle did not care for this bourbon. I did not do formal tasting notes, but I suspect this would fall somewhere in the low to mid-80s for me. I recently finished a bottle and it was an inoffensive, straightforward bourbon that I would pour on a weeknight. It's not special, but it's not horrible. I am not sure what Heaven Hill is doing with the brand. 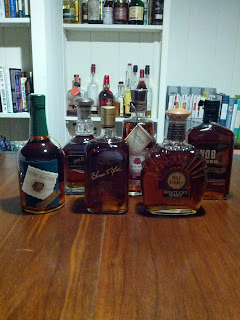 The 10 year old single-barrel, bottled in bond thing is pretty unique--I'm not aware of anything else like it on the market. The problem is that it just isn't that great of a bourbon. I wonder if these are the same barrels that go into regular Henry McKenna, a bottom shelf offering, just aged longer. If that's the case it strikes me as an odd strategy because bottled in bonds and single barrels usually gain some traction with bourbon geeks like me. But this offering is mostly forgettable, for good reason.